Roger Federer and Rafael Nadal produced a classic in the final of the Australian Open, with the Swiss prevailing over his old rival to secure his 18th Grand Slam title. Both men had struggled with injuries and a lack of form in the 2016 season, but were able to roll back the years in the tournament reaching the final to produce a match reminiscent of their former selves. Federer enhanced his legacy by pulling further away of the Spaniard and Pete Sampras on 14 titles apiece, but Nadal gave himself hope for the future after coming through a number of intense contests to challenge for the crown. At the age of 30 he could remain in a strong position to challenge the Swiss for the all-time record should he maintain his standard of play. 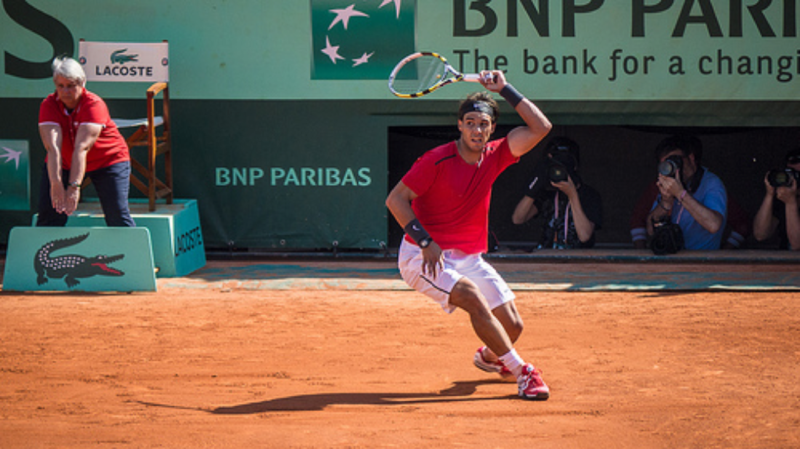 The next Grand Slam will provide Nadal with a chance to hit straight back at Federer and continue his level of excellence at the French Open. The Spaniard is a dominant force on clay and is backed in the latest tennis betting odds at 11/4 to win his 10th crown at Roland-Garros. The 30-year-old has been troubled by a number of injuries over the past two seasons since winning his last Grand Slam in Paris in 2014. His problems began at Wimbledon when he was dominated on the court by Nick Krygios, while his fitness issues took hold to rule him out of action at the US Open. He failed to find his rhythm at all the following year suffering only his second defeat in the quarter-final stage at Roland-Garros, while also exiting Wimbledon and the US Open in the second round. His issues were even worse in 2016, failing to make an impression at any of the four major tournaments, although he did triumph over Murray at the Monte Carlo Masters before claiming the title by defeating Gael Monfils. However, the win would be the high point of his year. A wrist injury prevented him from competing at the ATP Tour Finals at the 02 Arena, giving him time to recuperate ahead of the Australian Open. In Melbourne, the 30-year-old eased through the opening two rounds of the competition, defeating Florin Mayer and Marcos Baghdatis in straight sets. His first challenge came at the hands of Alexander Zverev and the young German took a 2-1 lead advantage over Nadal, but the Spaniard rallied to win the final two sets with ease to advance. The result proved that he still had the resilience and quality to win points at the crucial moments as well as being able to go the distance. The confidence gained from his win over Zverev helped the Spaniard brush aside Monfils in four sets, while Milos Raonic was dispatched in straight sets in the last eight. Grigor Dimitrov awaited in the semi-finals, and the 30-year-old needed all his resolve to overcome the Bulgarian. Momentum turned one way then the other, but once again Nadal rolled back the years to win the crucial points when it mattered the most in the deciding fifth set to clinch his place in the final. He battled well against Federer on the Rod Laver Arena to get the crowd out of their seats, evoking memories of their famous clash at Wimbledon in 2008. 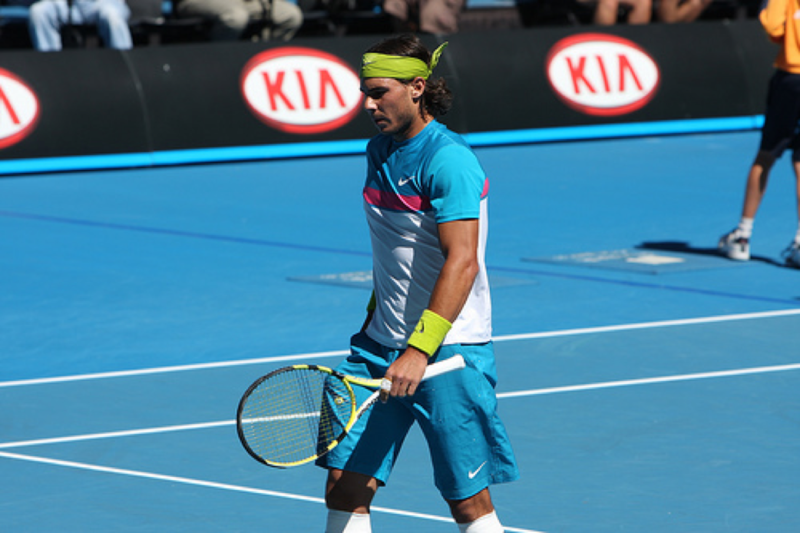 The Swiss claimed the victory, but Nadal proved that he can last the distance in a Grand Slam while playing multiple five-set matches. His fitness and form held up throughout the competition and going into his favourite slam he should be fired up to regain his crown and push on for more to challenge Federer’s all-time record. He proved again there’s still life in him. Copyright © Tennis Blog 2019. WordPress theme by Tennis Blog.